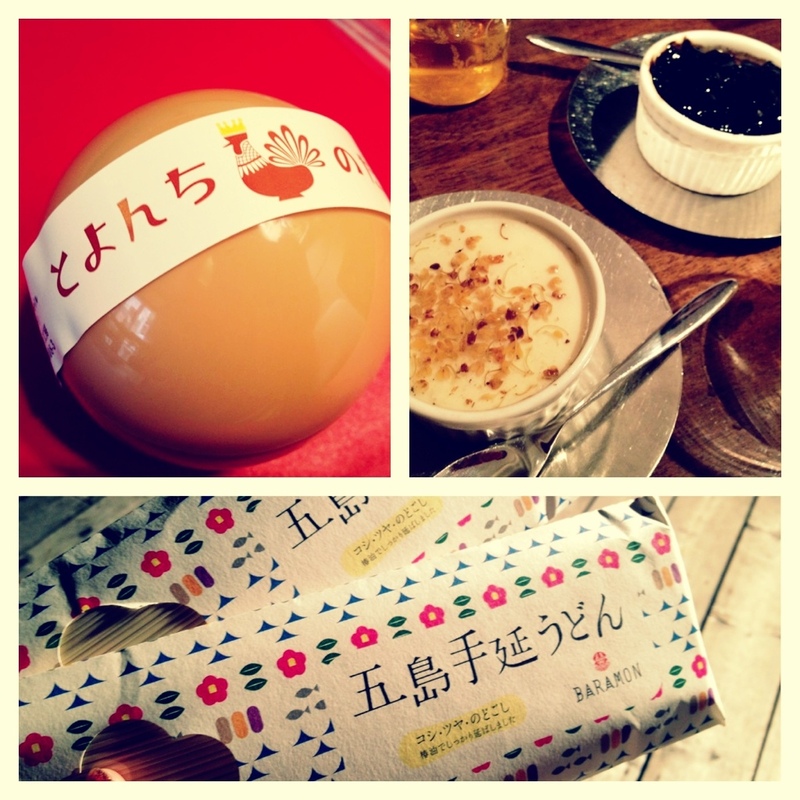 Pudding, tofu dessert & udon noodles – Where is Naoko? Food to represent places I went and people I met today. Clockwise, pudding from Toyonchi-no-Tamago Shimokitazawa (which Yayoi brought back for me), creamy tofu & almond jelly at Kayumensabo after congee dinner, and handmade udon noodle from Goto Island I bought from Miyuki at Harajuku Terrace.